Member of the State Bar of Texas, the United States District and Bankruptcy courts for the Northern, Southern, Eastern and Western Districts. Licensed to practice before the Fifth Circuit Court of Appeals in New Orleans, and the United States Supreme Court. Rated AV Preeminent by Martindale-Hubble. Honorably discharged from Navy with rank of Lieutenant. 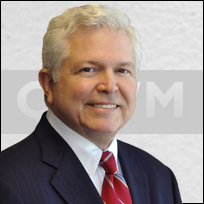 Senior Litigation Attorney certified in Civil Trial Law by the Texas Board of Specialization since 1980. Tried over 250 cases up to $40,000,000 in controversy.